Brown & Company Realty Group has been in the business of helping clients accomplish their real estate goals and creating happy homes for our clients for many years. Our passion and dedication to our craft is almost as well known as our fun loving approach to the process. Let’s face it – real estate can be intimidating, but why shouldn’t it also be an enjoyable experience? We believe that every client, at every level, in every neighborhood should be treated to a concierge level 5 star experience. With a personally tailored approach and an expert eye, we’ll help you realize the dream of an amazing home that best suits your personality, your lifestyle and your budget. 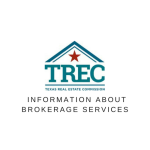 At Brown & Company Realty Group, we blend warm Texas hospitality with down to earth business sense, a love of technology and high-end marketing to create the best end result for our clients. We’ve learned that a team effort always yields the very best results. Our collaborative group of experienced and dedicated Realtors, artisans, and professionals draw from multidisciplinary backgrounds to create the perfect fit for the type of project you present. Of course, the most important member of our team is you! Client collaboration is critical at every step of the process, so join the team, learn a little, laugh a lot and love the results!